The AdS/CFT correspondence has led to a vast number of applications of General Relativity that go beyond its traditional applications in astrophysics and cosmology. Via the correspondence, GR now plays a key role in improving our understanding of non-gravitational physics at strong coupling including high energy physics as well as condensed matter physics. In order to explore these exciting new phenomena it is necessary to study GR with AdS boundary conditions and in higher dimensions. The seventeenth edition of the annual International Conference on Particle Physics and Cosmology - COSMO 2013 - was held at the Centre for Theoretical Cosmology, Cambridge, UK in the week of September 2-6, 2013. A 70th Birthday symposium celebrating Professor Stephen Hawking's contributions to fundamental physics and cosmology entitled ‘The State of the Universe’ was held on Sunday 8 January 2012 at Lady Mitchell Hall, Sidgwick Avenue, Cambridge. The symposium featured an afternoon of popular lectures from four distinguished scientists: Lord Rees, Professor Saul Perlmutter, Professor Kip Thorne and Professor Stephen Hawking himself. Professor Hawking was not able to attend in person, due to ill health, but his speech was read for him in absentia. This symposium received worldwide print and broadcast media coverage as well as an estimated 11,000 viewers live via an Intel Studios’ streamed webcast. Preceding the symposium from 4 to 7 January 2012 there was a technical scientific workshop, also entitled 'The State of the Universe'. 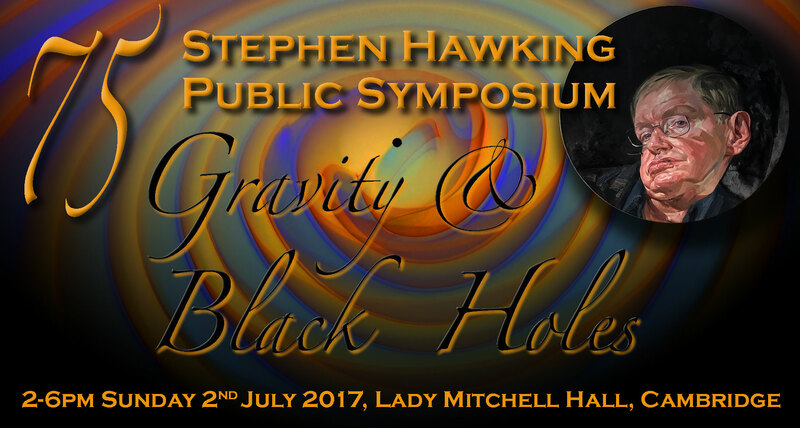 It featured over 175 leading physicists, who reviewed the current status of the fields of black holes, cosmology and fundamental physics. Gravity and Lorentz violations, which ran 13-15 October 2011, was a workshop focussing on Lorentz symmetry violations and their possible role in gravitation theory. The topics that were covered ranged from Lorentz-violating gravitation theories and experimental constraints on Lorentz invariance to Lorentz violations as probes of quantum gravity phenomenology and the role of Lorentz invariance in black hole physics. The scope of the workshop was to bring together some of the leading experts in this area, covering all relevant topics, in a setting that encourages interation and discussion. Primordial Gravitational Waves ran from 25-28 August 2009 and featured 27 speakers. Gravitational waves could provide an unprecedented view of the earliest moments of our Universe. Forthcoming interferometers, both terrestrial and space-based, CMB polariation experiments and pulsar timing arrays will probe a wide range of frequencies and of direct relevance to fundamental theory and cosmology. The next few years could provide an extraordinary opportunity to discover new and exciting physics. • To explore cosmological scenarios in fundamental physics which can produce observable levels of primordial gravitational waves. • To investigate the naturalness of large field inflation models which would leave a detectable tensor mode signature in the CMB polarisation experiments. • To refine predictions for the gravitational wave backgrounds and distinct signatures of cosmic superstrings and other violent phenomena in the early Universe, such as phase transitions. • To review the experimental prospects of detection from forthcoming experiments and to guide and motivate future detection proposals. Over the last several years, the departure of the CMB from exact Guassianity has become one of the best measured parameters in cosmology. With the imminent launch of the the Planck satellite, coupled with surveys of large-scale and 21cm emission mean that non-Gaussianity became a focal point for the confrontation between observation and fundamental theory. This conference, which ran from 8-10 September 2008, drew together the experimental groups who were searching for signatures of non-Gaussianity and the theorists who are predicting what can be observed. • To map out in detail what we can expect from Planck and other experimental probes. • To refine the tools with which predictions of non-Gaussianity can be made from concrete models, particularly intensive computational aspects. • To explore scenarios in fundamental physics which can give testable signatures, such as brane inflation models and cosmic defects. 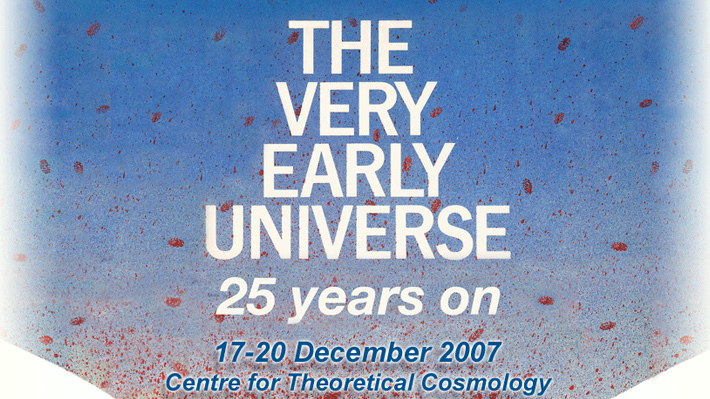 To celebrate the groundbreaking Very Early Universe workshop in 1982, at which a consensus picture of slow roll inflation was agreed, and later confirmed, the Centre for Theoretical Cosmology hosted 'The Very Early Universe: 25 Years On' workshop. Featuring 31 world class cosmologists, it was streamed live online. The conference also marked the opening of the CTC.